Raw dairy foods from grass-fed cows may be our healthiest source of nourishment at this point in history. It is high in enzymes, vitamin A, vitamin D, and Activator X, along with many other nutrients. Even if you have an excellent diet, if you don’t have these nutrients in high enough quantity, you will not absorb your fats, your minerals, or your water-soluble vitamins. Sufficient vitamin D is lacking in commercial dairy products and needed for proper calcium absorption. Additionally, sugar consumption and stress can both pull calcium from the bones. The best sources of usable calcium are found in raw dairy products. Also found in raw milk is lactose, or milk sugar. This is the most important carbohydrate for the colon flora. Just as yogurt or kefir-making bacteria thrive off the lactose in milk, so do our own internal bacteria thrive with lactose. If you really want to keep your intestine full of healthy bacteria, drink at least one cup daily of raw milk from pasture-raised cows or goats. You cannot be healthy without an adequate dietary intake of lipase, the fat-splitting enzyme, which assures that the fats and oils can be taken into the cells. Raw milk products are a tasty and easy way to ingest large quantities of lipase. Microbiologist Lee Dexter says that raw milk not only is safe but may be healthier than pasteurized milk. The former USDA employee sells raw goat’s milk in Texas, where it is legal. Lee Dexter has reviewed numerous cases worldwide and has written a lengthy report on raw milk. 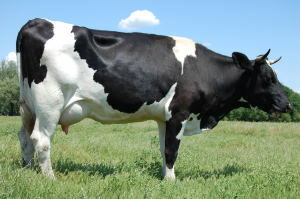 She said most comments made by epidemiologists and public health officials on the dangers of raw milk are opinions and “are not based on scientific fact.” She said statistics from the Centers for Disease Control and Prevention clearly show that “people drinking pasteurized milk are four times more likely to contract a food-borne illness” than those who drink raw milk. Dexter said “challenge tests,” in which raw milk was inoculated with pathogens and examined later, showed that the pathogens were destroyed. “Raw milk contains its own immune system,” she said. When discussing the healthfulness of raw milk, it is crucial that the farmer assures the health of the cow. Historically, this has not been done, which is why raw milk has gotten such a bad name. However, raw milk is a safe food. It has been commercially available in California for decades with not a single adverse affect. For more info check out this Raw Milk Resource Guide.